PRINCIPAL CONTRACTS The following assistant principals have been awarded principal contracts at their schools: Deborah Bonner, Dett; Joy E. Pilcher, Colman; Shirley Scott, Faraday. … Interim principal Cynthia Hughes was awarded a four-year contract at Calhoun North, and acting principal Paul O’Toole was awarded a contract at Marquette. … Katherine Volk, assistant principal at Hawthorne, is now contract principal at Pershing Magnet. … Vera Williams-Willis, assistant principal at Clissold, is now contract principal at Altgeld. 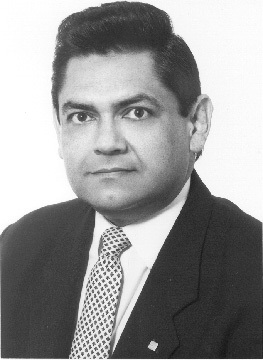 AT CLARK STREET Mayor Richard M. Daley has appointed Alberto Carrero, vice president of Banco Popular, to the Chicago Board of Education. Carrero, a former trustee of City Colleges of Chicago, replaces Michael Mayo, who resigned this summer. … Former Region 2 officer Domingo Trujillo has been appointed chief instructional officer. He supervises the 24 new area instructional officers and reports to Barbara Eason-Watkins. …Timothy Shanahan, director of the Chicago Reading Initiative, resigned in late August and returned to his former position as director of the Center for Literacy at the University of Illinois-Chicago. The reading initiative is now a unit within the Office of Professional Development. … Martin Gartzman, previously associate director of the Institute for Mathematics and Science Education at UIC, was named chief officer for math and science instruction, a new post reporting to deputy chief education officer Armando Almendarez. He will develop programs to support improved instruction in math and science. … Cheryl Nevins, formerly assistant director of labor relations, has become acting director of labor relations. Salary: $96,110. … Gilbert R. Jimenez, an attorney and former Chicago Sun-Times journalist, has been named special project manager in the Chicago Board of Education’s Office of the Inspector General. NEW CHARTER SCHOOL In September, Aspira of Illinois, a non-profit that serves Latino youth, was awarded the CPS charter made vacant when Nuestra America was closed. Mirta Ramirez Computer Science Charter School will be located at 2435 N. Western and will ultimately enroll 450 students. The curriculum will be technology based, and will offer students an opportunity to be certified in name-brand software. PRINCIPAL RETIREMENTS The following principals have retired: Nereida Bonilla, Audubon Elementary and Diana Hernandez-Azcoitia, Kelvyn Park High. Linda Sienkiewicz is acting principal at Audubon. Sandra Fontanez-Phelan is interim principal at Kelvyn Park. POLICY CPS has revamped its induction program for new teachers. Formerly known as MINT, the program was renamed GOLDEN (Guidance and Orientation Leadership Development Empowering New teachers). GOLDEN offers new teachers more professional development choices and reduces from four to two the number of days that teacher mentors spend outside of their classrooms in training. A pilot project beginning this winter will convene mentors for after-school discussion groups. … In August, the board passed a policy to allow students taking online courses through Illinois Virtual High School to earn up to two credits, as long as they have prior written approval from their principal. MOVING IN/ON Clara M. Jennings was named dean of the DePaul University School of Education effective Sept. 1. Previously, she was dean of the Graduate College of Education at the University of Massachusetts Boston. ‘NO CHILD’ Educational Testing Service is developing a test for CPS paraprofessionals that will determine whether they are “highly qualified” under the new federal education law, No Child Left Behind. The law requires that classroom paraprofessionals have an associate’s degree, take 60 hours of college credit or pass a local assessment test. A draft of the test, which includes reading, writing and math, was given to volunteers in September. A final version is expected to be ready in January. The Chicago Teachers Union Quest Center plans to develop related courses and test-preparation materials. BUILDINGS In August, the board agreed to buy land to build a new facility at 10334 S. Wentworth for Hughes Elementary and Davis Developmental Center, a special education preschool. The building’s design, by Marble Fairbanks Architects of New York, won the Chicago Public Schools Design Competition in 2001. … The Chicago Military Academy-Bronzeville began this school year sporting a four-story, $16 million addition. The new space includes 16 classrooms; three specialty labs; space for music and graphic arts; a library-media center; dining hall; bookstore and administrative offices. TEACHERS AS SCHOLARS The Newberry Library is offering two-day seminars for teachers to delve into topics ranging from stem cell research to the Harlem Renaissance. The seminars are designed to spark teachers’ intellectual curiosity, expose them to the library’s resources and inspire them through current scholarship. Seminars are free and count for two continuing education credits toward recertification. For information, call Mary Janzen at (312) 255-3593.